WINDOWcamo© is DAY ONE’s own pattern going deeper than just flat surface planes. The new pattern directs the animal’s eyesight down the diminishing branch design to a background of empty space. 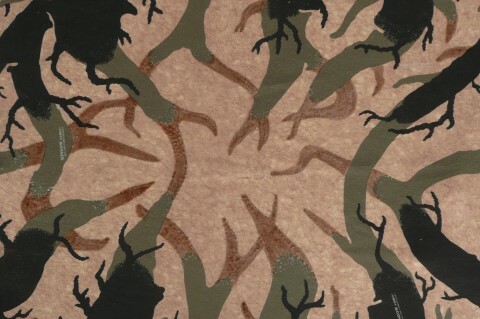 This new dimensional pattern concept dissolves the hunter’s presence to a void in the forest. An animal looks into their wooded areas to see what danger may lurk beyond. WINDOWcamo© effectively uses an open design with sharp contrasting edges, with receding coloration and thinning branches, your deer peers through these branches and sees nothing to fear, therefore remaining comfortable in their surroundings. Available in fleece or Cowboy Suede or with Scent-Loc, Wind Stop or Insulated linings.